October is Breast Cancer Awareness month as well as Hispanic Heritage month. I knew that I wanted to feature both causes on La Dolce Vita, and thought to myself, "Why not combine them?". I've put together a handful of images featuring the work of hispanic artists and the color pink in support of Breast Cancer Awareness. 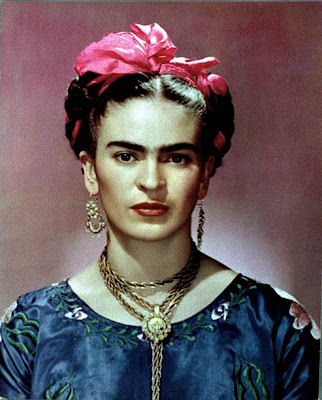 Frida Kahlo is one of Mexico's most celebrated artists. Here, she is photographed with a pink ribbon strewn through her hair. 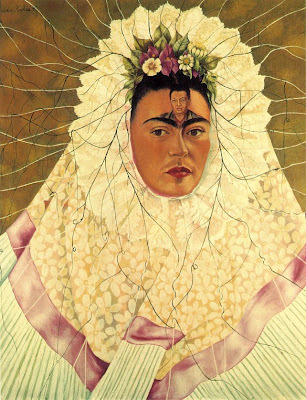 Most of Frida's paintings were self-portraits. This one is entitled "Diego en mi mente", or "Diego on My Mind". 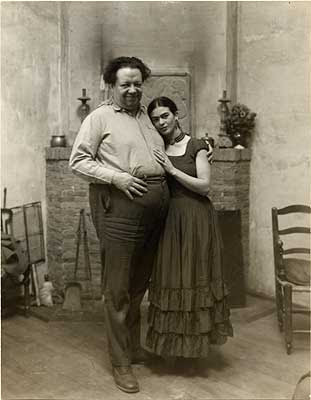 Pablo Picasso of Spain, is arguably the most famous hispanic artist in history. 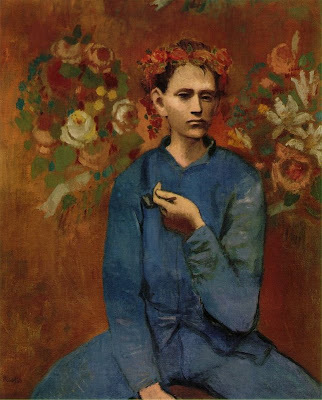 His painting, "Boy with a Pipe" is one of the most widely recognized from his rose period. 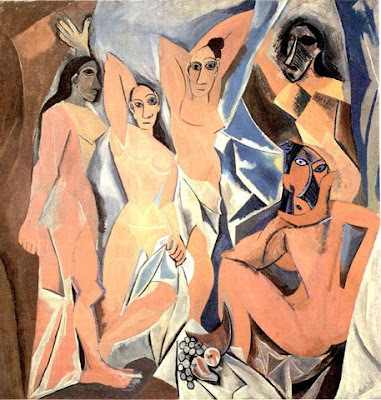 "Les Desmoiselles d'Avignon", from Picasso's cubist period is currently housed in New York's Museum of Modern Art. Sarah Jessica Parker, seen here as Carrie Bradshaw wears an unforgettable little, pink dress by one of my favorite designers, Oscar de la Renta, who hails from the Dominican Republic. Les Desmoiselles d'Avignon is such an amazing piece. What an inspirational post! What a beautiful tribute, Paloma. As a young Hispanic woman, I'd like to commend you on a wonderful piece! Thank you!! !